EU antitrust regulators ordered Apple (AAPL.O) on Tuesday to pay up to 13 billion euros ($14.5 billion) in taxes plus interest to the Irish government after ruling that a special scheme to route profits through Ireland was illegal state aid. The massive sum, 40 times bigger than the previous known demand by the European Commission to a company in such a case, could be reduced, the EU executive said in a statement, if other countries sought more tax themselves from the U.S. tech giant. Apple, which with Ireland said it will appeal the decision, paid tax rates on European profits on sales of its iPhone and other devices and services of between just 0.005 percent in 2014 and 1 percent in 2003, the Commission said. "Ireland granted illegal tax benefits to Apple, which enabled it to pay substantially less tax than other businesses over many years," said Competition Commission Margrethe Vestager, whose crackdown on mainly U.S. multinationals has angered Washington which accuses Brussels of protectionism. Online retailer Amazon.com Inc (AMZN.O) and hamburger group McDonald's Corp (MCD.N) face probes over taxes in Luxembourg, while coffee chain Starbucks Corp (SBUX.O) has been ordered to pay up to 30 million euros ($33 million) to the Dutch state. A bill of 300 million euros this year for Swedish engineer Atlas Copco AB (ATCOa.ST) to pay Belgian tax is the current known record. Other companies ordered to pay back taxes in Belgium, many of them European, have not disclosed figures. For Apple, whose earnings of $18 billion last year were the biggest ever reported by a corporation, finding several billion dollars should not be an insurmountable problem. The 13 billion euros represents about 6 percent of the firm's cash pile. 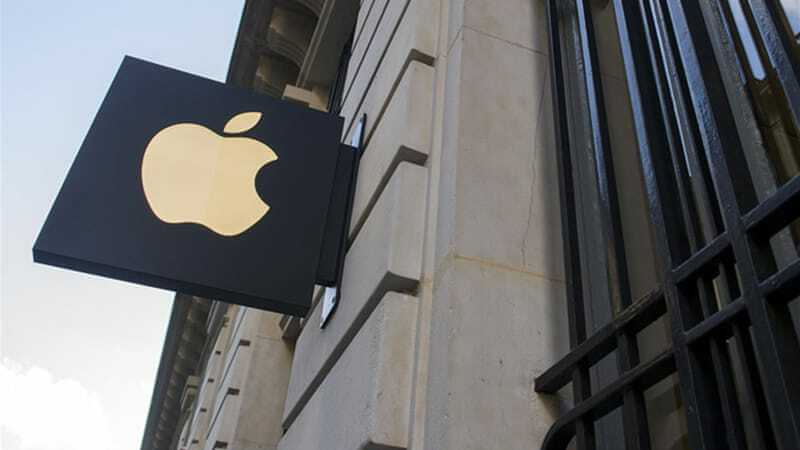 As of June, Apple reported it had cash, cash equivalents and marketable securities of $231.5 billion, of which 92.8 percent, or $214.9 billion, were held in foreign subsidiaries. It paid $2.67 billion in taxes during its latest quarter at an effective tax rate of 25.5 percent, leaving it with net income of $7.8 billion according to company filings. "I disagree profoundly with the Commission," Irish Finance Minister Michael Noonan said in a statement. "The decision leaves me with no choice but to seek cabinet approval to appeal. Ireland also said the disputed tax system used in the Apple case no longer applied and that the decision had no effect on Ireland's 12.5 percent corporate tax rate or on any other company with operations in the country. Apple said in a statement it was confident of winning an appeal. "The European Commission has launched an effort to rewrite Apple’s history in Europe, ignore Ireland’s tax laws and upend the international tax system in the process. The Commission’s case is not about how much Apple pays in taxes, it’s about which government collects the money. It will have a profound and harmful effect on investment and job creation in Europe."